2018 has lots in store for us at Borealis, and we are excited to share the ways we are growing and developing both our grantmaking, and our team. 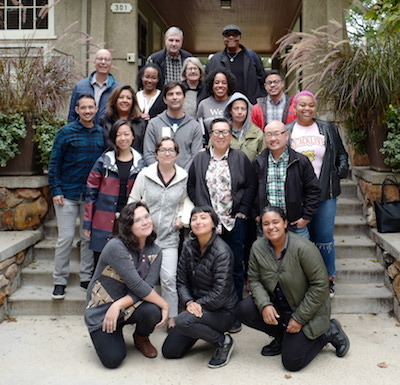 The Racial Equity in Philanthropy (REP) Fund: The REP fund will support philanthropy serving organizations in centering intersectional racial equity within their institutions and broader spheres of influence. Racial equity in non-profits fund: Through this fund, we will support capacity-building efforts to address issues of racial equity within the non-profit sector. Community advocacy bail reform fund: This fund will support state-based and local community-led efforts to end cash bail. Stay tuned for more information about each of these funds! Of course, embarking on these new initiatives is only possible because of the powerful and strong foundation built by our existing funds and grantees, and thanks to the strength of our team. Racial Equity Initiatives— Marcus Walton, former Chief Operating Officer of ABFE, will join Borealis as our Director of Racial Equity Initiatives, leading our work to advance intersectional racial equity in the philanthropic and nonprofit sectors. Kristell Caballero Saucedo will join him in those efforts as our Senior Program Associate. Both Marcus and Kristell begin their new roles with Borealis in March. Immigration Initiatives—Heidi Dorow, who joined our team in 2017 to lead the development of our Immigration Litigation Fund, will step into a new role as the Director of Immigration Initiatives, opening up new opportunities to continue our work on immigration reform. Strengthening Our Funds— In 2017, Julia Beatty, Nichelle Brunner, Ana Conner, Aldo Gallardo, Lana Lovely, and Tashie Sloley joined our team to lead and support all the important facets of our grantmaking initiatives. 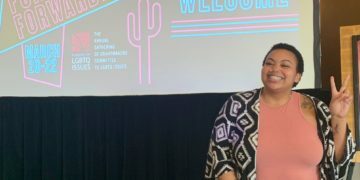 Programs and Strategy—Rickke Mananzala, who has served as our Director of Programs, has been promoted to Vice President of Strategy and Programs and will guide our strategic plan along with ongoing programmatic development and oversight. Impact and Learning—Monona Yin, our new Director of Impact and Learning, joined the team in December 2017 and will help us measure the impact of our funds, our grantees, and Borealis more broadly. Communications—Zaineb Mohammed, our new Communications Officer, joined Borealis in December 2017 and will work to tell the story of our funds and grantees and will work closely with Monona to communicate our impact. Finance and Operations—In 2017, we hired Rebecca Luxenberg as our Director of Finance and Operations. Our Chief Financial Officer, Ed Kegle, has been promoted to the position of Vice President of Finance and Operations. We are also fortunate and grateful to continue drawing on the support and expertise of our Board, who offered essential guidance to us as we grew in size and scope. In 2017, we added two new board members, Alexander Lee and Garland Yates, and in 2018, we are adding two additional board members (board-elect) Davida Arnold and Jamila Brown. 2017 was a whirlwind for us at Borealis, and 2018 is shaping up to be equally as full of change, growth, and possibility. We look forward to continuing to learn from our donors, grantees, and partners as we embark on new challenges and opportunities together. Have you read our 2017 year in review? Look back on what our funds accomplished in 2017.